ONE. 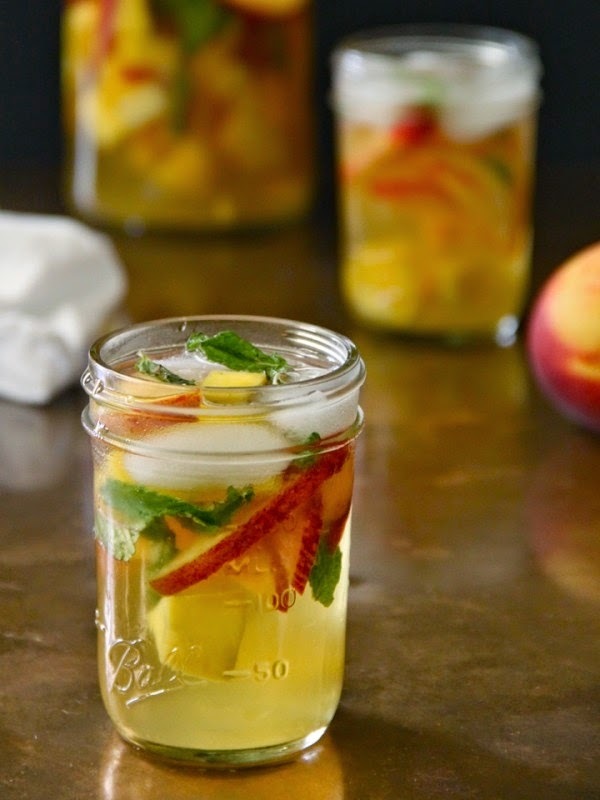 I am looking for the perfect, easy and delicious recipe for a white (or light colored) Sangria. I have been looking around pinterest, found a few with lots of fruit, which I think is great, but I need to know measurements and how much. Any ideas?? Also, do you put the ice in it if it's going to be sitting for an afternoon? THREE. TL and I just recently starting buying organic coconut oil from Costco to cook our veggies with. I was searching around on Pinterest and found this pin that has some great info about multiple uses for Coconut oil... so awesome (especially the diaper rash and dry skin)! FOUR. I am not a huge one for subscription boxes - but I recently came across one that is pretty cool. It's a traveling box that explores unique (lots of vegan) things - it travels around the country and finds vendors to feature. They do mens, womens, and kids boxes (mini explorer) and the items inside are so cool. Currently they have a giveaway going on through their Instagram (@Hazel_Ln) and facebook pages. 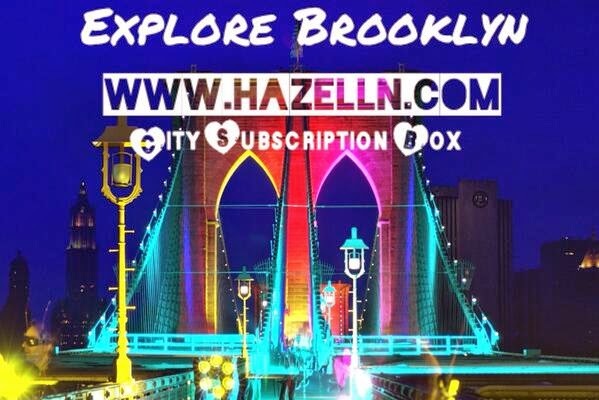 You can win a Brooklyn Mini Explorer Box. They are also offering $5 off to anyone who wants to buy a box by entering "ThenIGotToThinking" at check out. Love that quote from #5! A full bottle of white wine, like pinot grigo or muscato with a can of diet sprite or fresca and a ton of fruit. It definitely looks nice with ice in it, but it can water it down. I love coconut oil too, I give my dog a spoonful every day in the winter to keep his skin and coat moisturized!! Last year I tried a bunch of white sangria recipes (and just winged it a handful of times, too!) I never put ice in mine, but used frozen peaches, raspberries, & strawberries (about 3/4-1 c of each), a bottle of moscato, and a can or two of Fresca! Keep it chilled for about an hour or two before you drink it to let the fruit flavor infuse a little. It is SO yummy! I love Natasha's new store and I thought the bathing suits were just the cutest little things. There is a mint green one that I almost wanted to buy and just "hold on to", but I'm pretty sure my Husband would start running for the hills! I've made this one before and it's pretty good! I've recently seen a lot of coconut flour too - I wonder if that has similar benefits? i cannot thank you enough for including this in your weekly roundup feature friend...hugs and kisses to you and the fam!!! 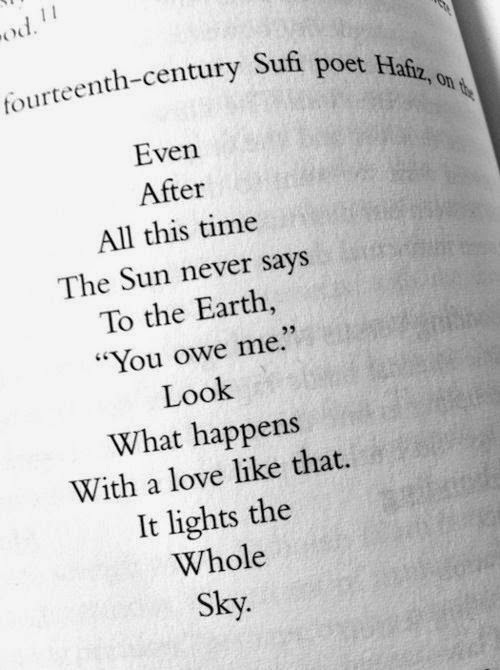 I love that cute quote! 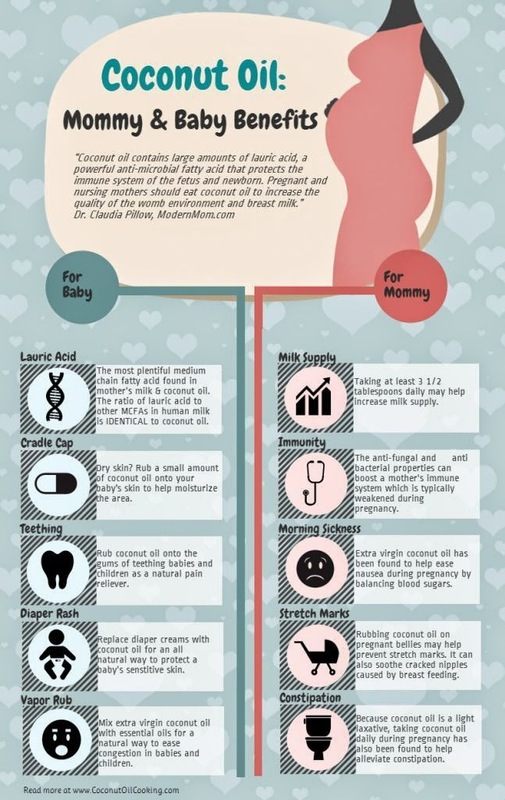 Thanks for the infograph regarding coconut oil! There is a lot of buzz about it and it's fun to know exactly what the benefits are! A few weeks ago Rod and I tried the coconut flour from Costco, it didn't work well with the recipe I used. However, I plan on using with a recipe specifically calling for it to see how it turns out.